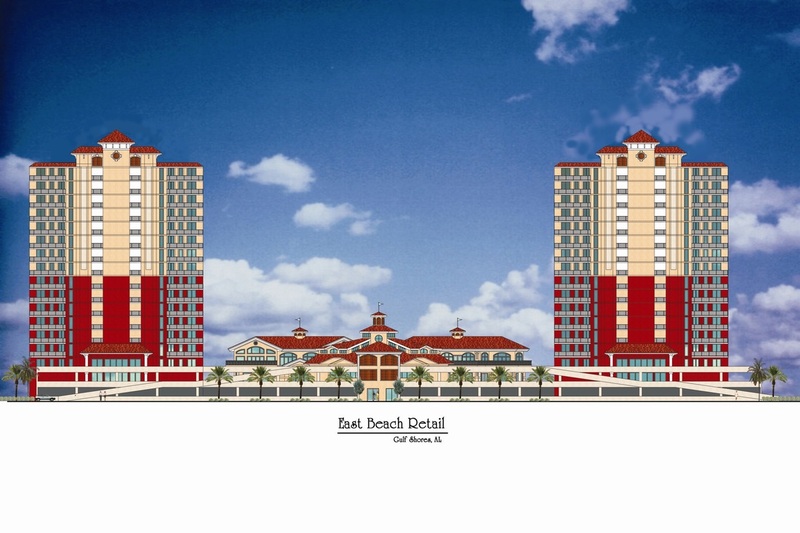 East Beach Retail Features two Condominium Buildings with a Hampton Hotel along with over 30,000 s.f. of Retail and commercial space. This exciting emporium will consist of two 10,000 sf restaurants, 10 anchor retail outlets, along with a 75 unit hotel.